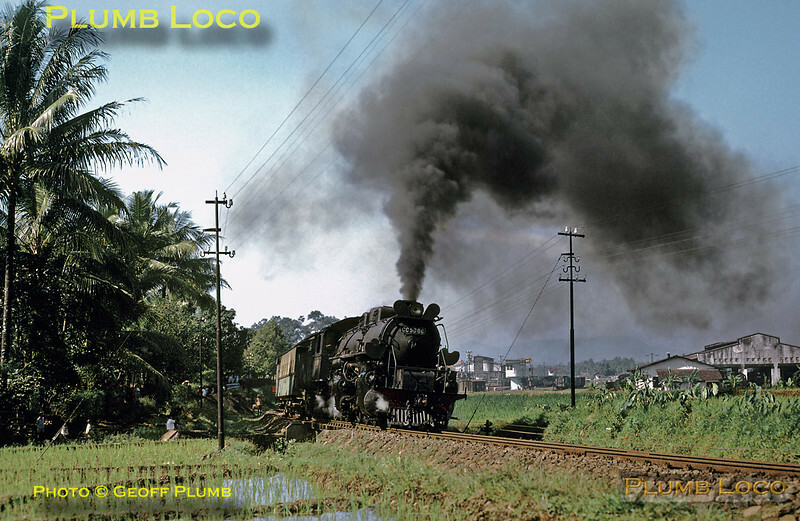 PNKA (Indonesian State Railways) Class CC50 2-6-6-0 Mallet No. CC50 06 pulling away from Purwokerto with the 08:45 mixed train to Prupuk in Central Java, running only 15 minutes late! Saturday 21st July 1973. This engine was built by Werkspoor of Amsterdam in 1928. Slide No. 11507.